Never really watched the TV series back in the 70’s. More of a Starsky and Hutch, Kojack fan. Even enjoyed the occasional Colombo. But Hawaii five O suits my needs. That’s the plan. Don’t know if it’s going to come off but I am going to try. I am not trying to go back just to enjoy a birthday on the beach and swim with the turtles. I need to qualify for the World Championships and if so, I want to go two places better than in 2012. I need to shake things up a lot. I need to fall in love with very early mornings again. I need to get back to less sleep; to get off the couch again. This year I intend to put all my training sessions up on my website. Partly because I want to track exactly what I have been doing and how things are progressing. It might be harder to slack off too. I am happy to get feedback and suggestions. I want a close look at my technique, form etc and how it changes as I tire, get fitter etc. Luke (6) is keen to do some video and commentary on some of my efforts. When my dodgy internet allows I will post some of our work on the site too. I sold a painting over Christmas. The sock drawer has had its first deposit. I need to amend the web page title, book a qualifying race and get things started. 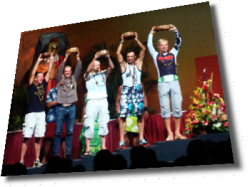 2015 – Injuries Bike Racing and an Ironman.